This volume offers a new perspective on the evaluation of writing. The first half of the volume reviews research on composing and examines existing methods of evaluating writing. 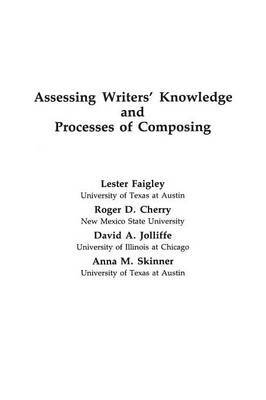 The second half sets some limitations in assessing changes in composing processes, describes some methods researchers in other areas have used to investigate cognitive processes, and outlines a model of writers' knowledge that can lead to comprehensive assessments of writing skills.